As simple as giving a daily treat, great tasting, Z-shaped C.E.T. 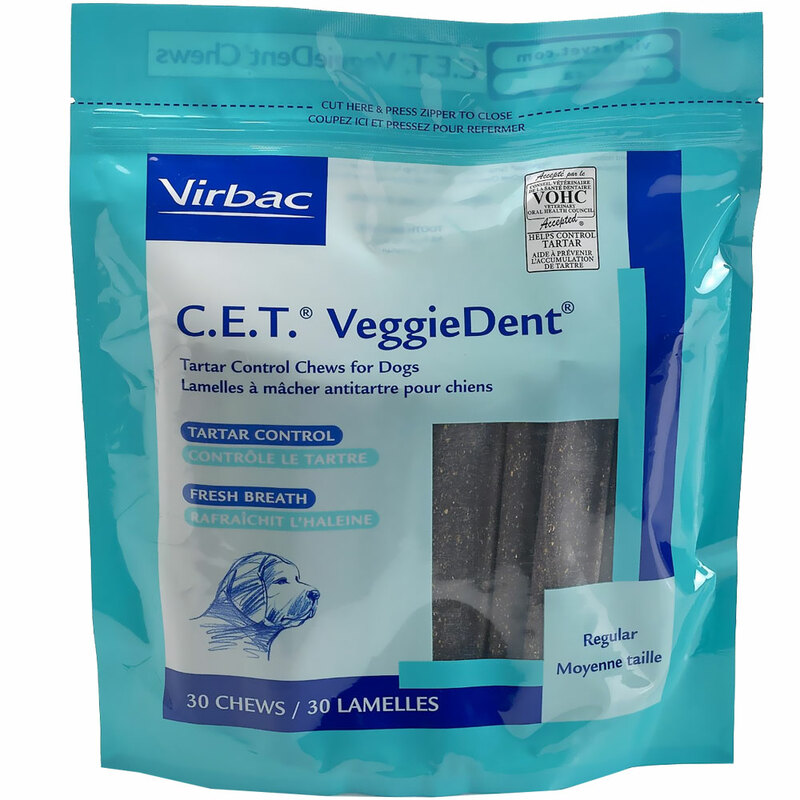 VeggieDent works with the dog's chewing action to reduce plaque and loosen tartar. 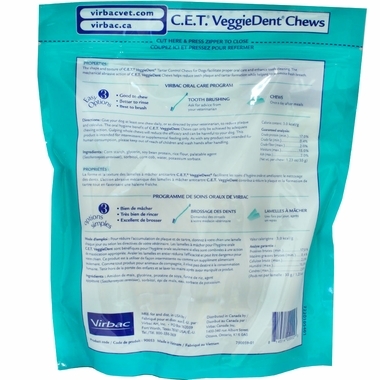 C.E.T® VeggieDent® Chews for Extra Small Dogs Pets Have Teeth Too! Home dental care is as important for your pet as it is for you. A program of oral hygiene and regular professional care can prevent problems that might occur as the result of plaque and tartar buildup. Routine home dental care should be a part of every pet's health care program. The C.E.T. 3 Easy Options method provides dental care options for all pets, regardless of size, age, temperament, or time constraints of busy owners. Begin where you and your pet are more comfortable, or use all 3 options in combination for fresh breath, cleaner teeth and better health for your pet. Good to Chew: As simple as giving a daily treat, great tasting, Z-shaped C.E.T. 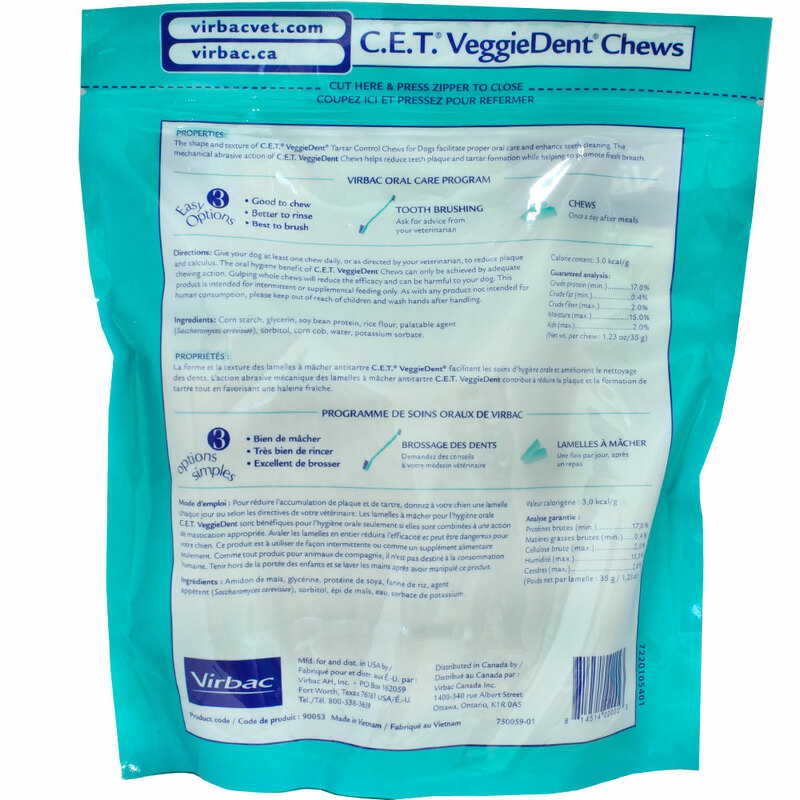 VeggieDent works with the dog's chewing action to reduce plaque and loosen tartar. Use C.E.T. VeggieDent daily as a first step toward oral hygiene or on those days when brushing isn't possible to keep breath fresh and teeth clean. Better to Rinse: C.E.T. 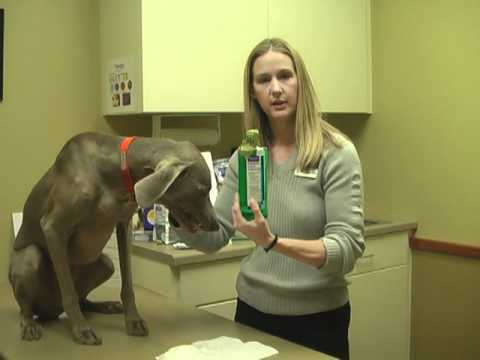 Oral Hygiene Rinse and C.E.T. Oral Hygiene Gel target microorganisms susceptible to chlorhexidine for plaque control without brushing. Best to Brush: Daily brushing using C.E.T. Toothpastes and Toothbrushes, specially designed for dogs and cats, provide the very best in Home Dental Care for your pet. INGREDIENTS: Corn Starch, Glycerin, Soy Bean Protein, Rice Flour, Palatable Agent (saccharomyces cerevisiae), Sorbitol, Corn Cob, Water, Potassium Sorbate. Give your dog at least one chew daily, or as directed by your veterinarian, to reduce plaque and calculus. The oral hygiene benefit of C.E.T. VeggieDent Chews can only be achieved by adequate chewing action. 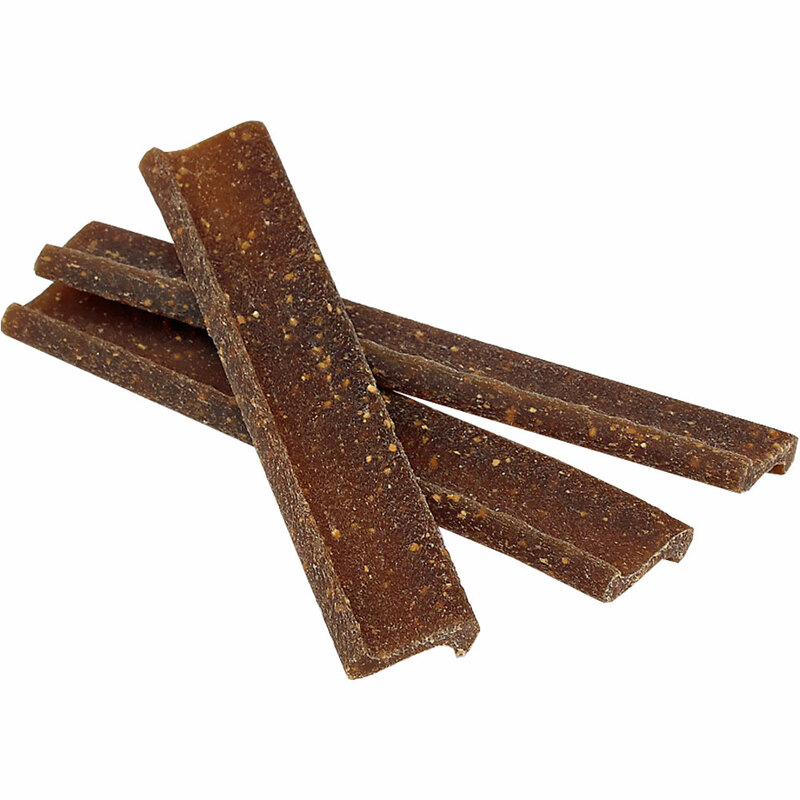 Gulping whole chews will reduce the efficacy and can be harmful to your dog. This product is intended for intermittent or supplemental feeding only. As with any pet product not intended for human consumption, please keep out of the reach of children and wash hands after handling.